Your disability. Why can’t you work? 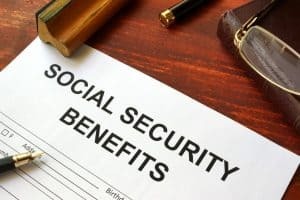 The Social Security Administration (SSA) has a set of physical and mental impairments. It helps your case if your doctors can show that your medical condition is on that set of impairments. If your medical disability is not on the list, then your doctor needs to includes reports and test results that show your condition is serious enough that you can’t work for a year or more, or that your condition is terminal. Your education. SSA needs to know which schools you went to, when you attended. They also need to know any training and experience you have. Your employment history. The application should include your full work history. This includes the name of the companies you worked for, when your worked, your job title, and the job requirements/skills. Make sure your information doesn’t have any gaps. Conflicting facts or statements create red flags for the people that review your information. For example, if you say you worked every year between 2006 and 2018 and then only show jobs for 2006 through 2012 and 2014 through 2018, the reviewers will want to know what happened in 2013. Another example is leaving out some of the medications you take. Don’t make the reviewers guess about your education, employment, or medical status. Show them the details. Make sure your application is correct. SSA will review the information you provide and may contact the people, doctors, employers, and companies you mention. Names should be spelled correctly. Phone numbers should be current. Do your homework by calling the people you list or by checking the information online. Review the medical records and employer statements. You must make certain the application matches your records. Check your work credits. You should know how many quarterly work credits you have before you apply. You should also understand if those credits meet the eligibility minimum for receiving Disability. Our tenacious Tennessee SSDI attorneys focus on your claim while you focus on recovery. You are welcome to call The Rocky McElhaney Law Firm at 615-246-5549 or contact our offices today. We offer free initial consultations and our offices are conveniently located in Nashville, Hendersonville and Knoxville. We have successfully represented clients seeking disability benefits throughout the state of Tennessee.